Alum is both a specific chemical compound and a class of chemical compounds. Alum has been used in purification of drinking water and industrial process water. 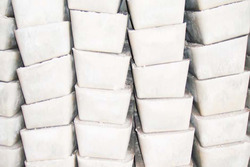 Alum in block form can be used as a blood coagulant, they are also used as astringents to prevent bleeding from small shaving cuts.Alum is used to clarify water by neutralizing the electrical double layer surrounding very fine suspended particles, allowing them to flocculate (stick together). Alum powder, found in the spice section of many grocery stores, may be used in pickling recipes as a preservative to maintain fruit and vegetable crispness. Alum is also used in fire extinguishers to smother chemical and oil fires.Alum is used in the tanning of animal hides to remove moisture, prevent rotting, and produce a type of leather.Alum is used to fix pigments on a surface, for example in paper marbling. Alum is both a specific chemical compound and a class of chemical compounds. Alum has been used in purification of drinking water and industrial process water. Alum in block form can be used as a blood coagulant, they are also used as astringents to prevent bleeding from small shaving cuts. 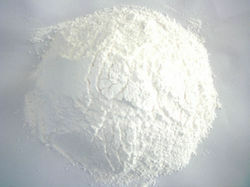 Alum is used to clarify water by neutralizing the electrical double layer surrounding very fine suspended particles, allowing them to flocculate (stick together).Alum powder, found in the spice section of many grocery stores, may be used in pickling recipes as a preservative to maintain fruit and vegetable crispness.